Businessman Donald Trump killed it last night on “The Tonight Show” with Jimmy Fallon. 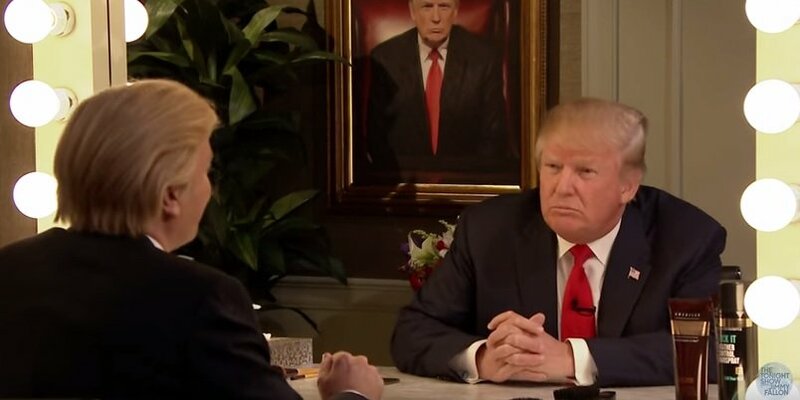 Donald Trump played himself in a skit where Jimmy Fallon played his alter-ego in a mirror. Trump took on questions like immigration, jobs and his Vice Presidential pick.